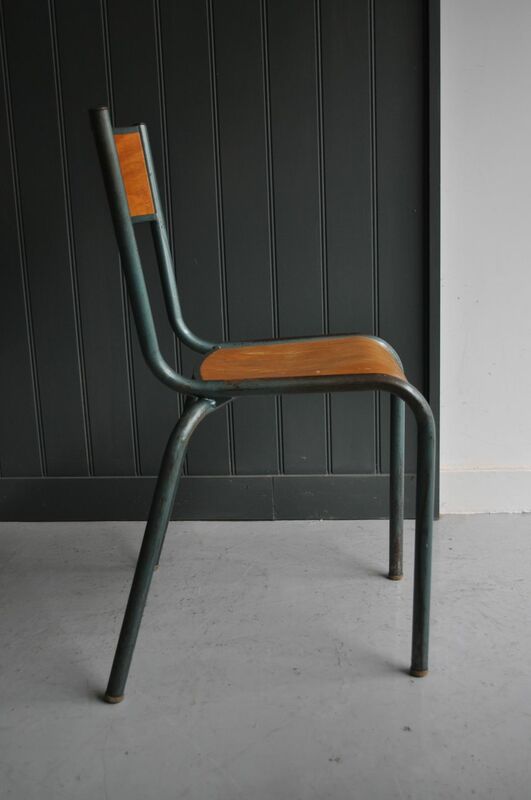 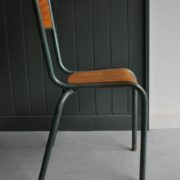 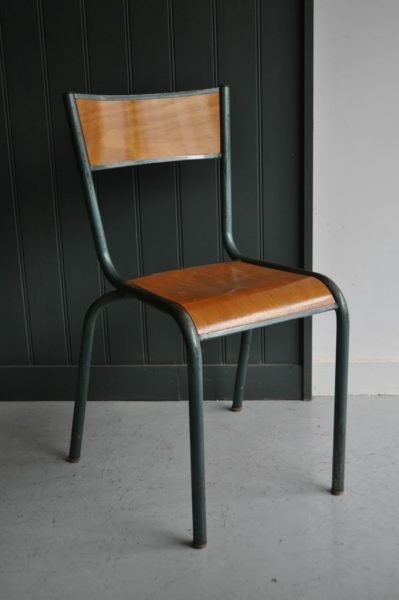 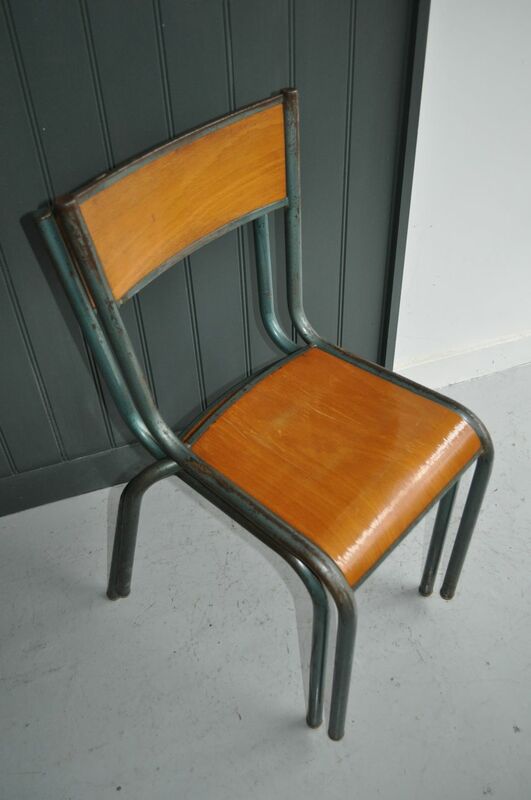 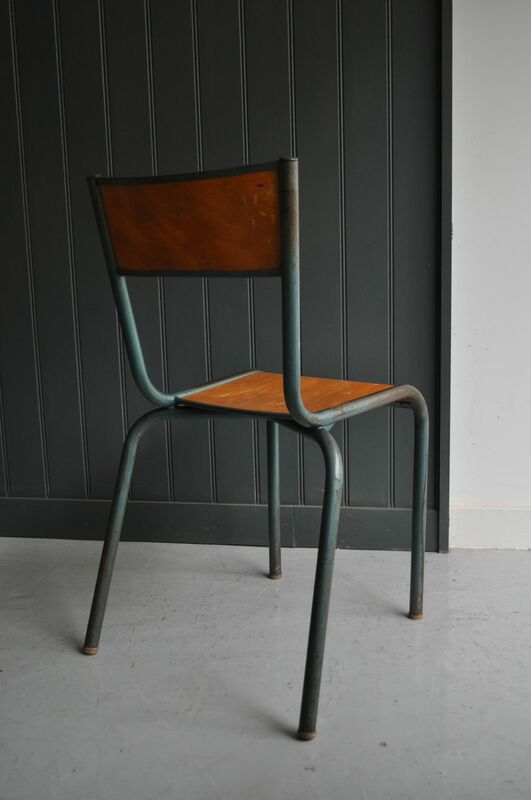 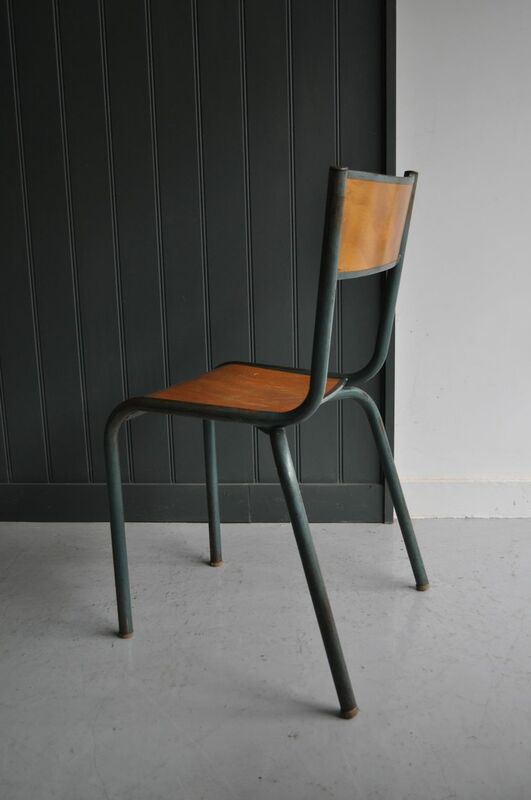 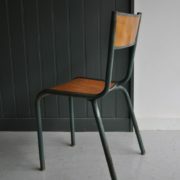 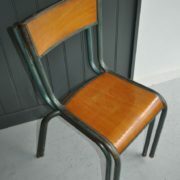 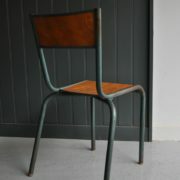 Six Belgian stacking chairs with steel tubular legs in original teal-coloured paint, and with plywood seat and backs. 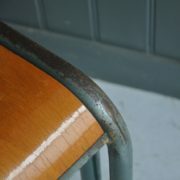 Loss of paint and marks in keeping with age, and some of the rubber leg-caps are missing from one of the chairs. 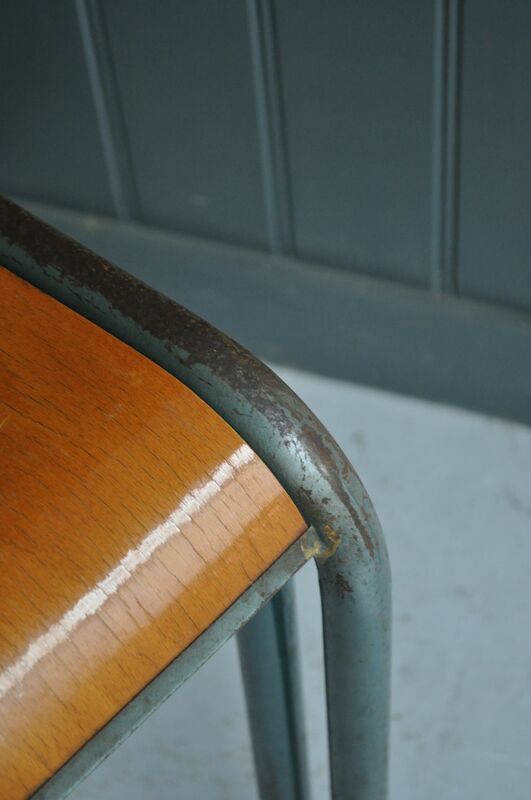 But all good and stable, and no cracks or splits to the plywood.